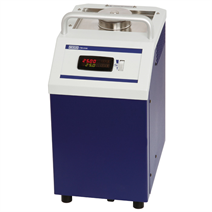 The new WIKA micro calibration baths are the perfect complement to the series CTD9100 and CTD9300 temperature dry-well calibrators. In dry-well temperature calibrators, as a result of their low insertion depth and the resulting heat conduction errors, short probes lead to a significant increase in measurement uncertainty. Even when comparing the test items with an external reference thermometer, they can not be too short. Once the stem length drops below 70 mm (2.76 in), a micro calibration bath is definitely preferable to a temperature dry-well calibrator. If several probes are to be calibrated at the same time, the micro bath has additional advantages: Thermometers with differing stem diameters can be calibrated together, without the need to provide exactly the correct inserts. This approach is particularly useful for on-site calibration, when there is a wide variety of test items and their stem diameters are either varied or unknown. The instruments are typically used in the pharmaceutical industry and in the food industry, particularly for on-site calibration. 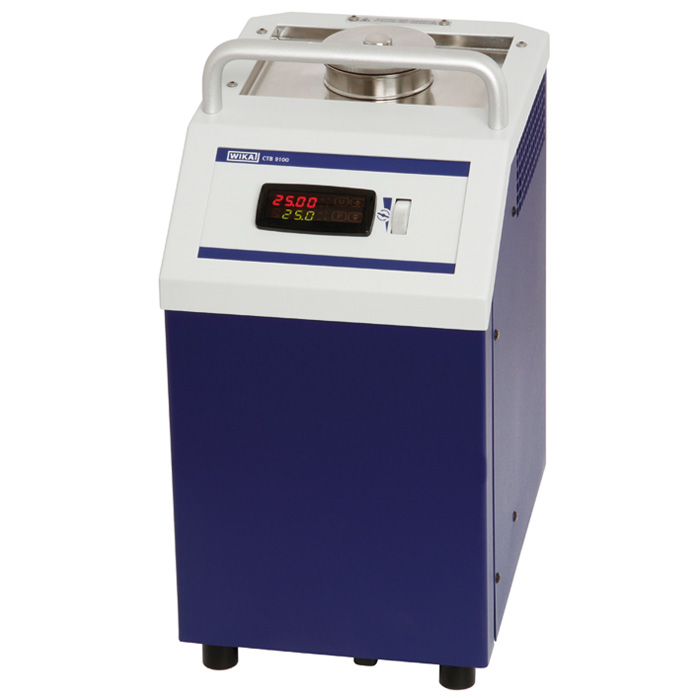 The series CTB9100 micro calibration baths operate with temperature-controlled liquid tanks with a useable working range of Ø 60 x 150 mm (2.36 x 5.91 in) depth. The maximum insertion depth of the test items reduces the heat conduction errors and thus leads to smaller measurement uncertainties. The calibration temperature, adjusted simply using two keys on the controller, can be very quickly controlled. The actual and set temperature can be displayed simultaneously on a large 4-digit, high-contrast LC display. Thus reading errors are virtually eliminated.